Simon Metcalfe (sometimes spelled Metcalf) (1735-1794) was an American fur trader. He traded furs from the Pacific Northwest for goods from China. Reportedly, Simon Metcalfe was the first American captain to take sea otters on the Northwest Coast and the first American to trade those skins in China. Traders used Hawai‘i as a trading and provisioning site; they would take on food and water from Hawai‘i on their way across the Pacific. Metcalf was, by all accounts, a snappish, irritable, harsh individual, who believed in strong and immediate punishment for infractions of his rules. Two actions by Simon Metcalfe at the end of the 1700s set in motion a series of events that, without which, the history of Hawai‘i could have been very, very different. Kame‘eiamoku vowed revenge on whatever American ship next came his way; the next one happened to be the Fair American. He overpowered the ship and turned it (and its weapons) and its only survivor, Isaac Davis, over to Kamehameha. 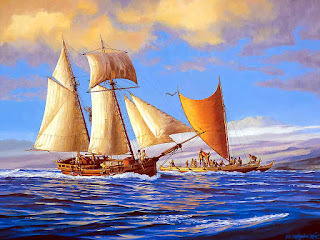 Unaware of the events and fate of the Fair American, the Eleanora returned from Maui and arrived at the Big Island; Captain Simon Metcalf sent his boatswain, John Young, ashore to see the country. That evening, as Young attempted to return to his ship, Kamehameha’s forces detained him (Kamehameha had placed a kapu on anyone going on the ship.) Young was captured and Metcalf, unaware, was puzzled why Young did not return. Metcalf waited two days for Young to return; finally, sensing danger or becoming frustrated, Metcalf departed and set sail for China (abandoning Young,) not knowing that his son had been killed not far away. It’s not clear what happened right after Metcalfe left Hawai‘i in 1790. 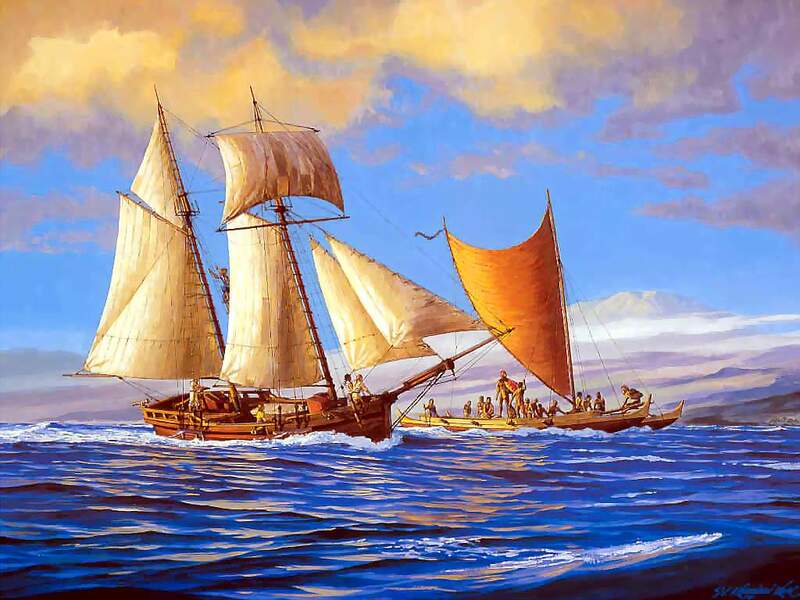 Looking back at Metcalfe’s two significant events of 1790, it makes you wonder, what would Hawai‘i’s history be like after 1790 if (1) Metcalfe hadn’t insulted Kame‘eiamoku, who later sought revenge and (2) John Young had not gone ashore on their return from Maui. As it turns out, Kamehameha befriended Young and Davis, who became respected translators and his close and trusted advisors. Their skill in gunnery, as well as the cannon and other weapons from the Fair American, helped Kamehameha win many battles. With these two men and the weapons, Kamehameha’s military was successful in his eventual conquest and unification of the Hawaiian Islands; first to Maui in 1790 and then O‘ahu in 1795. Hawai‘i may have been waaay different, if not for Simon Metcalfe making his way here. The image is Herb Kane’s depiction of the attack on the Fair American.